Andy Heins, Director, Strategy Operations. 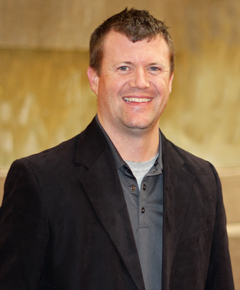 Andy Heins serves as Director – Strategy and Operations, for Finley Engineering. Mr. Heins leads strategic discussions and planning with clients across multiple markets and initiatives, from broadband planning, feasibility and implementation to energy integration and planning. Mr. Heins is a veteran of the telecommunications industry and began his career at Finley in early 2009. Prior to joining Finley, Heins was the General Manager of Alma Communications Company in Missouri. While with Alma, Heins assumed various management and operations roles, and in 2006 deployed the first 100% Fiber-to-the-Home (FTTH) network in the State of Missouri. To contact Andy, please call 417-262-0774.